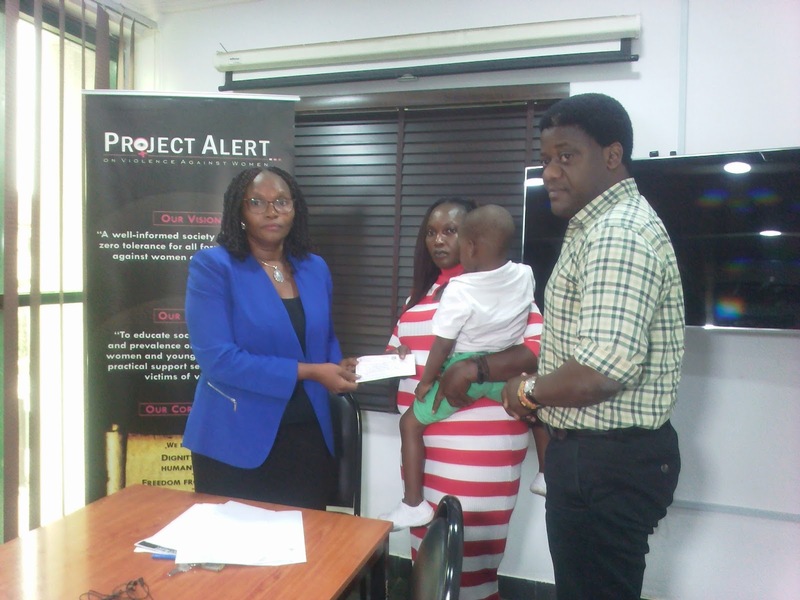 Rescuers of baby Michael Alvez – Project Alert on Violence against Women, Kate Henshaw, Temitope Oluwagbemi and Aramide Kasunmu – have issued a cheque of N1.383,500 to the baby’s family for the immediate surgery of the boy’s facial hemangioma at the Lagos University Teaching Hospital (LUTH). 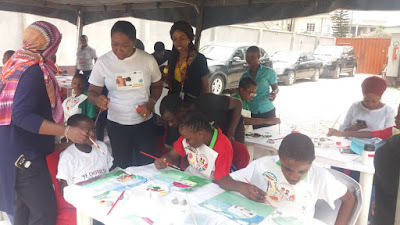 This exercise was done at a media parley held in Lagos where families of the baby and the rescuers finalised plans for the interest of the child. According to the Executive Director, Project Alert, Mrs. Josephine Effah-Chukwuma, the issued cheque is following the estimates on the cost of surgery for the three years old baby as the foundation received from the baby’s aunt – Syndi Ezeanyeji – as received from LUTH. The estimate includes: immediate operation (65,000 x 8) N52,000; To and feeding for two weeks x 8 cost N135,600; tentative cost for drugs cost N377,400; radiological investigation cost N42,500; laboratory investigation N48,000; miscellaneous items not routinely provided by the Hospital cost N160,000 and contingency cost N100,000. That totals N1,383,500.